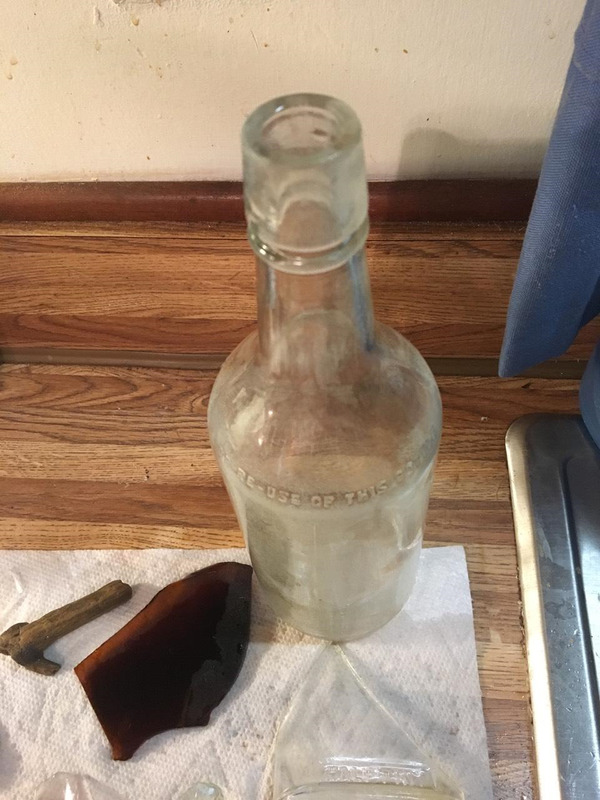 Need info on Clear 4/5 Quart bottle with "Federal Law Forbids..."
I found a bottle today that is clear and used a cork. There is a seam on both sides that extents all of the way to the top of the bottle and is very straight. It has "Federal Law Forbids Sale or Re-use of this Bottle" around the bottle. 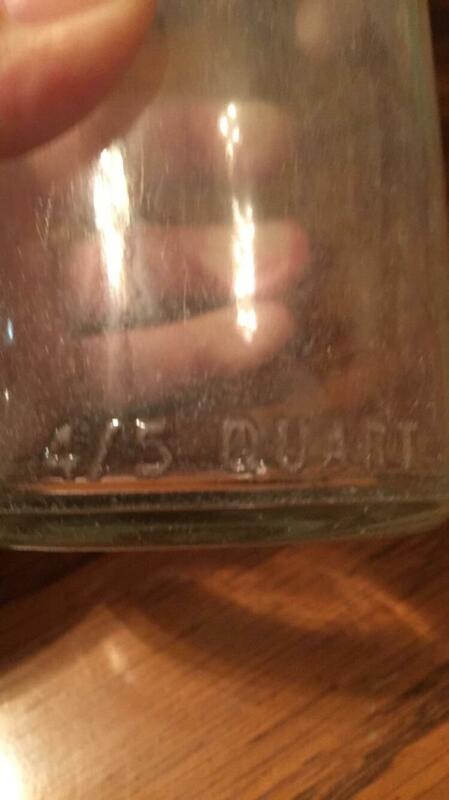 The marking at the lower portion of the bottle says 4/5 Quart. 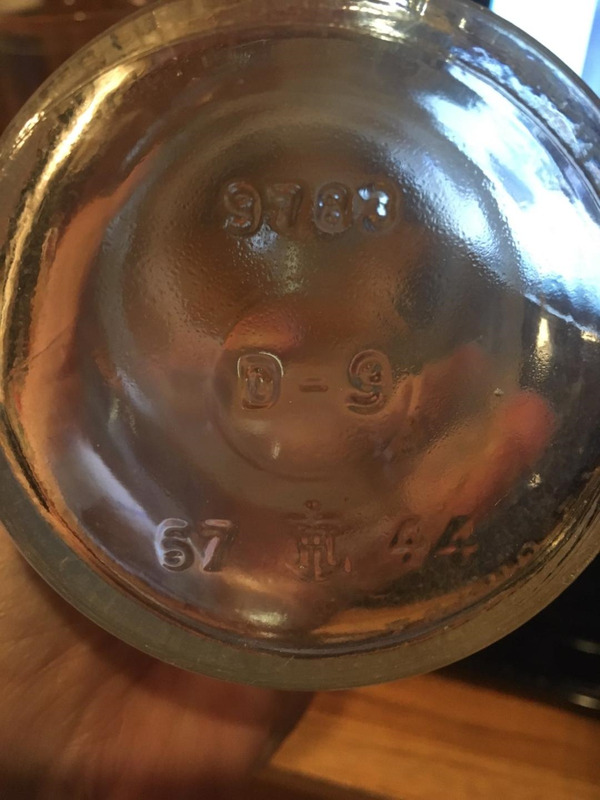 The bottom of the bottle has 3 lines of letters/numbers. They are as follows: 1st line - 9783; 2nd line - D-9; 3rd line 67 (an anchor seal) 44. Can you please tell me who the distiller is and whether this bottle was manufactured in 1944? Since this is a generic bottle, it will be hard to go much further in research. 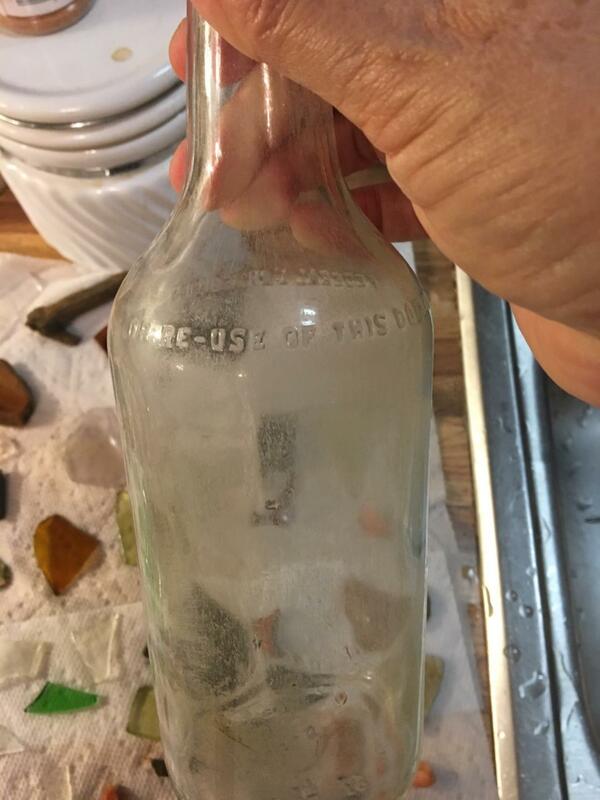 Your bottle has the company mark of Anchor Hocking (manufacturer of the bottle) It very well could have been made in 1944 - I do not say definitely because each manufacturer had its own rules for marking bottles. "44" could have just been a mold number, for example.